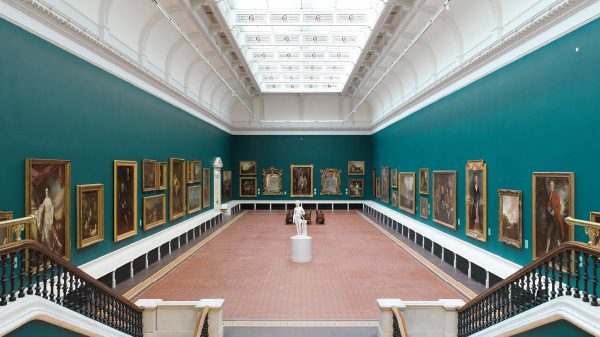 Fans of the National Gallery of Ireland will be happy to see that the extensive refurbishment of the gallery’s Historic Wings is finally done and dusted. The newly renovated areas of the gallery were re-opened on June 15th and visitors to the gallery are sure to agree that it was well worth the wait. The Dargan and Milltown Wings have been transformed to reveal the original nineteenth-century architectural features and spaces and a new spacious light-filled courtyard, created by architects Heneghan Peng, has been added to fill the space between the wings of the gallery. The new courtyard houses a dramatic seven metre tall, free-form sculpture, Magnus Modus, created by Irish designer, Joseph Walsh. The piece was commissioned by the Office of Public Works on behalf of the National Gallery of Ireland under the Per Cent for Art Scheme. To mark the re-opening there is an entirely new presentation of the permanent collection, which features paintings by Rembrandt, Caravaggio, Ruisdael, Vermeer, Gainsborough, Goya, Monet, Gris and Picasso. The Gallery’s prestigious collection of Irish art, with works by Daniel Maclise, Roderic O’Conor, John Lavery, William Orpen, Seán Keating, Gerard Dillon, Evie Hone, Norah McGuinness, Jack B. Yeats, Louis le Brocquy and William Scott is also on display. After a seven-year hiatus,The Marriage of Strongbow and Aoife by Corkman Daniel Maclise (1806-1870), one of the country’s most important and popular paintings, has been restored and returned to permanent display in the Shaw Room, . The refurbishment was carried out by the Office of Public Works’ Project Management Services, with architects Heneghan Peng as the Design Team Leaders. The multi-million euro project began in March 2011, with the replacement of the Dargan wing roof. Work on the Milltown wing started during 2014. 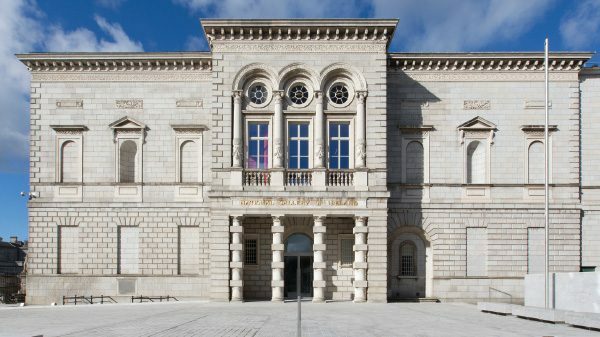 Up-to-date heating, fire suppression, lighting and audio systems have been installed and an energy centre, housing the mechanical and electrical plant required for the Gallery, is now concealed under a new front lawn of the Gallery’s Merrion Square entrance. This removes most of the major systems from the interior and allows for improved environmental control throughout the building. Originally opened in 1854, today the gallery is home to over 16,300 works of Irish and European Fine Art. During the renovation an extensive survey of the Gallery’s permanent collection was carried out, with 1446 works surveyed by the Conservation Department. An additional 150 works of art have been acquired by the gallery since the renovation work began. The National Gallery of Ireland is open 361 days a year, closing only on Good Friday, and from 24-26 December. Admission to the permanent collection is free. Some temporary exhibitions carry a charge – tickets can be purchased at the Information Desks at the Millennium Wing and Merrion Square entrances. All exhibitions are free for members.